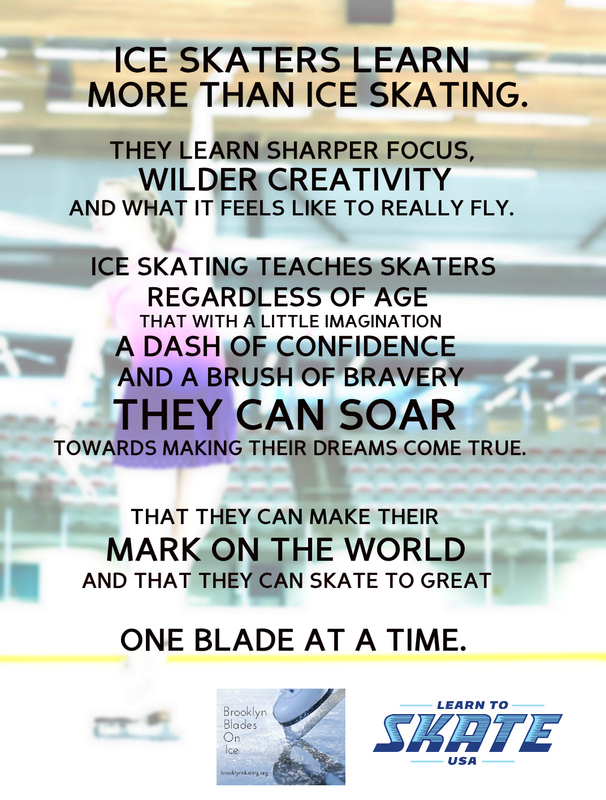 Brooklyn Blades on Ice is part of Learn To Skate USA – which is the national organization that develops the curriculum for our Basic Skills program. It is how we can provide achievement badges, certificates, and sanction events that our members can participate in. Each member of Brooklyn Blades on Ice is required to pay a once a year fee ($17) to cover the cost of membership. *Note this is a separate organization from U.S. Figure Skating, so USFS members are required to pay for LTS USA membership if they are members of both organizations.